We are offering our clients’ an exclusive range of Fiberglass Doors, which is in high demand and is reckoned for its unmatched quality features. Our range finds application in various Schools, Institutes, Colleges and Homes. We offer these products in different colors and wood textures. Our range can also be customized as per the specified requirement of our esteemed clients. We specialize in offering nationwide our sturdy, classic and durable range of Four Panel Doors that are made of Fiberglass (Stainable / Paintable). These doors exhibit simple yet authentic hand-craftsmanship of our artisans that have created these doors with style. 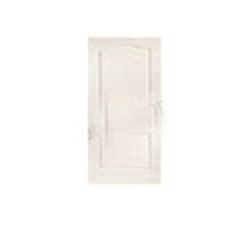 We here offer our clients with an environment friendly range of 2 Panel Arch Fiberglass Doors that are available in several distinct colors and may also be ordered pre-stained or even pre-painted suiting the demand of the clients. These have a superior oak grain finish that provides a warm texture of real wood and the feel of authentic wood with the durability, strength and security of premium steel doors. Moreover their coating of general polyester resin and fiberglass matt adds life of these doors.